Edward the Confessor was among the last Anglo-Saxon kings of England, ruling from 1042 to 1066. He is usually considered the last king of the House of Wessex. Historians disagree about Edward's fairly long reign. His nickname reflects the traditional image of him as unworldly and pious. 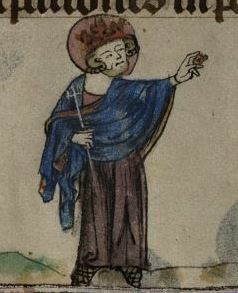 Confessor reflects his reputation as a saint who did not suffer martyrdom, as opposed to King Edward the Martyr. Some portray Edward the Confessor's reign as leading to the disintegration of royal power in England and the advance in power of the House of Godwin, due to the infighting that began after his heirless death. Biographers Frank Barlow and Peter Rex, on the other hand, portray Edward as a successful king, one who was energetic, resourceful and sometimes ruthless; they argue that the Norman conquest shortly after his death tarnished his image. Edward died in 1066 following a series of strokes. He probably entrusted the kingdom to his brother-in-law Harold shortly before his death.